Most of the investors are betting on the funds which invest a major portion of their portfolio in large-cap stocks. As per the experts, large-cap funds provide a better place for the capital to attain a stabilised growth than small-cap and mid-cap peers. As the name suggests, the large-cap mutual funds invest in the stocks of large and giant companies and provide stabilised growth to the capital of the investors. They carry lesser risk than their peer groups and help the investors to reap significant returns. Moreover, for an investor who seeks to invest in dividend plan, these funds could be the best choice because they mostly offer a high dividend. And of course, with no doubts, they are already known for attaining chunky capital growth over a long-term investment horizon. Who says a fresh investor cannot jump into the world of equities? We think there are no such barriers. Even a newbie can expose to equities by adding some large-cap funds to his/her investment portfolio. Generally, the most common vision of the investors is to reap higher benefits from their investments. Due to the risky waves in the ocean of small and mid-caps, they afraid to dive in. Thus, the experts always suggest walking along large cap trend as the larger the ship you are sailing on, the safer you will be from the high waves. 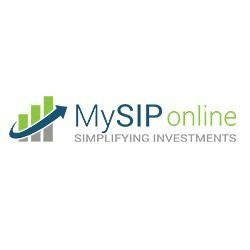 Let’s check out the list of top large cap funds suggested by our experts at MySIPonline. #1. Aditya Birla Sun Life Top 100 Fund: One of the best schemes of ABSL Mutual Fund and also in the category of large caps, ABSL Top 100 has managed to offer healthy growth in the capital of the investors. It was launched in the year 2005 and has provided 14.83% averaged returns since its launch. Moreover, the dividend plan of this scheme has offered good dividends to the investors throughout since its launch. Mr. Mahesh Patil, who has experience of working with renowned AMCs and other companies, is managing this scheme since July 2010. The best part is that the scheme has been showing significant growth since then. #2. ICICI Prudential Focused Bluechip Equity Fund: If someone is hunting for a mutual fund that could help in attaining adequate growth over a significant period of time, ICICI Pru Focused Bluechip is one of the best choices. Although it has a dull history due to its launch in the year 2008, it has recovered it excellently in time soon after the fall. Recently, in July 2017, Mr. Rajat Chandak and Mr. Sankaran Naren have been assigned as the fund managers of this scheme. Both the personnel are highly experienced and have a great track record of their work history. It is a conservative scheme that invests almost 98% of its assets in the stocks of large and giant companies. Therefore, you must check the other details of this scheme to start investing in it. #3. Mirae Asset India Equity Fund: One more gem in the space of large cap mutual funds is Mirae Asset India Equity Fund. It aims to maximize the capital growth over a significant period of time. It was also launched in the year 2008, and unfortunately, faced the heat of the market fall. It got quick recovery in its value as its management is in the hands of the well-experienced body, Mr. Neelesh Surana. Recently, a new manager, Mr. Harshad Borawake, has been added to the management team of this fund. This fund has managed to provide 16.47% annualized returns since its launch which shows that it can attain significant growth in the long run. The above mentioned large-cap mutual funds are the best ones among the peers. One must check the detailed investment profile of these schemes to know the investment suitability.